Size: approx. 8-10 mm. Photo: 09/08/11, 5 pm. 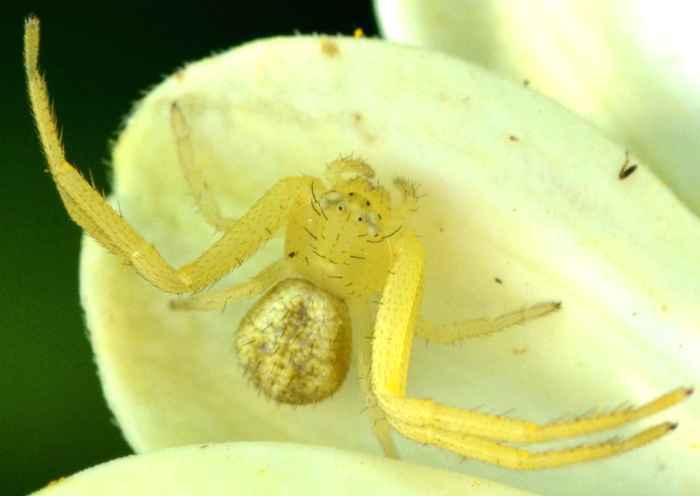 This crab spider is Mecaphesa sp. Mecaphesa has 18 North American species and is often (always?) hairy.